1 of 3 Heat a gas grill or stovetop grill to medium-high. Lightly grease grill racks or grill pan. 2 of 3 Brush mushrooms with olive oil and season with salt and pepper. Grill 2 minutes per side. 3 of 3 To serve, spread bottom half of each roll with 1 tbsp pesto. 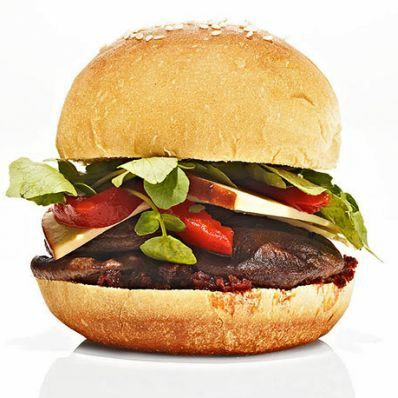 Layer with mushrooms, Gouda, red pepper strips and watercress. Top with remaining bun halves.